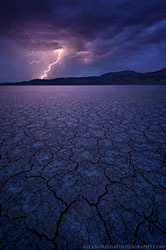 Our thanks to Alex Noriega, our featured ApertureAcademy.com guest photographer for December. We appreciate his taking the time to share his thoughts, comments and some of his wonderful fine art photography with all of us! Please visit his links to see more of his work, and to let him know you enjoyed this interview. :: How did you get your start in photography? Was it always landscape work or did you dabble in anything else? Several years ago, I decided to purchase a camera, for no reason other than a desire to tinker with it. Initially, I had no specific type of subject in mind; I was merely fascinated with capturing light and detail. I made forays into portraiture and architectural photography in my first couple years of shooting, and even had a couple of those architectural images published. Growing up in Wisconsin, I had never really seen mountains or deserts in person. What I had seen of such places in movies, documentaries, photographs, and even video games - particularly in atmospheric light - fascinated me long before I was interested in photography. It wasn't until I took a road trip from Wisconsin to California that I knew I wanted to move out west and focus 100% on landscapes. Being self-employed, I had all the time I needed to devote to educating myself about photography. I'm grateful that I've been able to turn my passion into a career, making only the images I want to make, and teaching aspiring photographers my craft. :: Being one of a growing group of great Pacific Northwest landscape photographers, what do you do to separate yourself from the rest? My initial strategy was to throw my hat into the ring with somewhat unique takes on the local icons, be it via new compositions or different conditions/light. I didn't care that they had been shot before; the places were new to me and they inspired me. Living in a hotspot for landscape photography like the Pacific Northwest, I like to have a good idea of the existing images from any given location. If I don't feel my take on a subject is somewhat unique, or don't feel that it could be considered among the best images of that location, I generally don't release it - not because of how it would be judged by others, but because I know I could do better. Early on, I often chose to shoot at twilight or at night, as I felt the majority of the images of these places were "epic" sunrises and sunsets (and it's easy to turn to the stars if you don't get the dynamic light you hope for - more on this below). I can safely say I no longer rely on that particular technique, as I've now had the opportunity to capture actual light at these places - but I still always hope to find unique compositions or conditions. One area in which I've been able to set myself apart is post-production. I've drawn inspiration from a number of sources, but my techniques are my own, and were developed over the course of several years. Though processing/development is far from the most important aspect of landscape photography (composition, light, conditions, and subject are paramount), it's still one of the primary artistic processes that goes into an image, and thus is very important in creating your own unique interpretation of a scene. 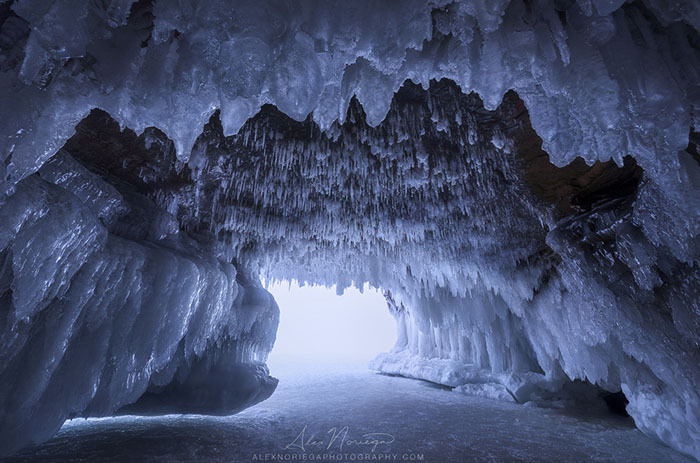 :: One of my favorites of your images is inside the ice cave on the Apostle Islands. Can you talk a little about how that image was made? The landscape in the Midwest that interests me most is the Apostle Islands area, on Lake Superior. The ice caves require traversing a couple miles on the lake ice to reach. Last winter, they were open for the first time in five years, and I found myself living back in the Midwest at the time. I've always been fascinated with ice caves, and I knew it would be a unique opportunity for me to shoot these, being that few landscape photographers were even aware of the location. This particular cave had a few features that drew me to it. One, it had a cathedral-like ceiling with pristine hoarfrosted icicles, free of silt deposits that would otherwise turn them brown, as I had seen in other caves nearby. There was also a small nook in the back of the cave, maybe only three feet high and six feet deep. One way to find unique compositions is to think small: I crawled into the nook and framed the larger ceiling with the curve of these small formations, mere inches from the front of my lens. Since I had gone on a rather warm day (+25 degrees Fahrenheit), the icy floor in the nook had turned to supercooled slush. I lay in there for at least an hour honing my composition, and my clothing was not waterproof. I was rather alarmed that I could not feel anything at all in my backside for about an hour after leaving the cave! :: You've got a really nice set of night work. Can you talk a little about what draws you to night photography, and a little about the learning curve for you personally learning to capture stunning images at night? One draw of night photography for me is my fascination with the universe and other worlds. The dizzying sense that we're on a rotating planet, orbiting a star, in a universe containing billions of other stars and planets, each filled with untold landscapes and potential life, is best achieved looking up at a clear night sky, outdoors, away from light pollution. I also feel the landscapes of Earth are easier to imagine as being of another world under the eerie light of twilight and night, so I hope to convey a bit of that with my night images. The fact that there's almost no light at night is a challenge for a medium that relies entirely on capturing photons. Night images should be subject to the same principles of composition as any others, and they simply can't be sustained by a night sky or Milky Way alone. Silhouettes of a horizon aren't terribly interesting. What constitutes good light (in terms of shape, texture, and harshness) should also still apply - so light painting can feel very ham-fisted, and can ruin the sense of otherworldliness and wonder I shoot for. Moonlight is essentially the same as sunlight, in that it's best when the moon is low in the sky, which is much harder to time than the daily occurrence of sunrise and sunset. So where does this leave us for capturing compelling night images? Twilight: that magical time between night and day, when the stars are appearing overhead, and the mysterious salmon-colored post-sunset light is fading, yet still present on the landscape - lending it shape, and ever-so-subtly revealing its details. This is when I like to shoot my "night" images, and I have to credit one of my favorite photographers, Floris Van Breugel, for pioneering one method I like to use for capturing this time period. From a practical perspective, I've been a night owl for as long as I can remember, and it just so happens that this is conducive to the shooting I do - I can sleep in the harsh light of midday, and shoot the dynamic hours of light and the night while I'm awake. Twilight/night photography is a great way of making something out of clear skies when you don't get the dramatic light you're after. I also enjoy the very deliberate, quiet nature of night photography. You often have all the time in the world to set everything up just so, and while waiting for a long exposure, you can simply enjoy the view overhead. My Subaru Outback! It's my home away from home. The rear seats fold flat, and I have a bed pretty much permanently set up in back, where I can sleep like a baby wherever I go, safely and free of charge. The all-wheel-drive will get me just about anywhere I want, yet the gas mileage is great for long trips. I can store everything I need in my rooftop cargo box, and I can even comfortably edit images on longer trips at night, in the bed, with my laptop and tablet. :: What is the scariest thing that has ever happened to you while on a shoot? A few friends and I were shooting Grinnell Lake at Glacier National Park a couple years ago. We were resting in a small alcove on the trail, waiting for the light to get better for sunset. In talking quietly, we had broken one of the cardinal rules of bear country - to make noise, so that our presence would be known. A grizzly bear rounded the corner on the trail, and at its closest, was no further than five or ten feet from us, before we were able to back away and have our bear spray at the ready. After a standoff that lasted for what seemed like an eternity, the bear moved into the brush along the trail, and seemed to follow us as we backed down the trail. Eventually, we were able to move back up the trail and let the bear move further down. Though it felt to us as though we were being stalked, the bear probably just wanted to get down to the water, and we were in its way. At any rate, it was a heart-pounding experience. :: What challenges you most these days with shooting? From the world of photography, what keeps you motivated or inspired? What challenges me most is finding unique images. It's easy to become disillusioned, because the earth's landscapes are mostly made up of rocks, dirt, grasses, plants, trees, and water - and it can all feel pretty formulaic and contrived arranging these elements in a rectangular frame. However, I get motivated every time I produce something even somewhat unique at a place where many others have come before. I stay inspired by looking at the work of my favorite photographers, and of leaders in the field. Some are pushing the technical envelope, some are putting out absolutely brilliant compositions, and some are just eminently tasteful in everything they do. I hope to combine a hint of all of these aspects in my own work, though I'm constantly humbled and motivated by how far I have yet to go. :: A lot of your work is centered in the Pacific Northwest region. Has the familiarity bred any kind of boredom with these subjects yet? You have amazing images from most of the icons, so, what keeps you coming back? First of all, I've never been one to write off a location, let alone an entire region or country, based on how often it's been shot before. I believe those that would dismiss a location on this criterion are the same people who would seek only to imitate what's been done before. There are always new compositions to be found, but even if the absolute best composition is the iconic one, unique light and conditions can set that image apart. Besides, the reason these places are iconic is because they're amazing! We don't have all that many places left on Earth to discover, at least not that aren't incredibly dangerous or remote. As far as the northwest is concerned, it's one of the most diverse and beautiful regions our planet has to offer - an easy sell for me. One of the images I've included here may demonstrate my point. Mount Rainier is among the most photographed places in the world. This image was made a short walk from an easily accessible vista, at one of the two most heavily-visited areas around the mountain. The sky was totally clear, so an "epic sunset" was out of the question. 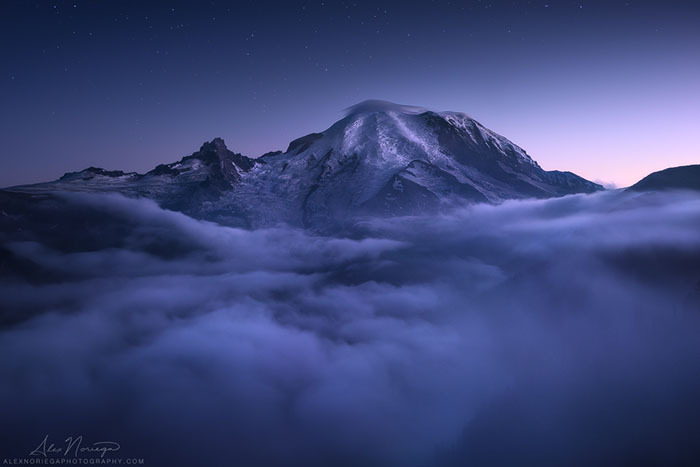 However, the clouds that rolled in below me at nightfall, combined with my shirking of a conventional foreground and going with a longer focal length, allowed me to create a unique image that's ethereal in nature, emphasizes the immense size of the mountain, and is hopefully memorable. To directly answer your question, images exactly like this are what keep me coming back. :: Finish this thought: "In 10 years I want my photography to be..."
"...characterized by unique and thoughtful compositions, atmospheric and ethereal light, and striking subtlety." Hopefully by that time, Canada, Alaska, Patagonia, and Iceland are represented as well as the northwestern and southwestern United States in my portfolio. :: Do you have any upcoming projects or shoots that you're excited about? How do you plan to go shoot somewhere you've never been? By the time this is published, I will be in the process of, or finished with, a month-long trip around the western US, capturing autumn color and first snows. I plan on shooting from Glacier NP all the way down the west coast, through Oregon and into California, Arizona, and Utah. My winter plans are relatively modest - since I haven't yet spent a full winter in the Northwest, snowshoeing in the Cascades is on the docket. I also hope to visit the ice caves in Wisconsin again. For 2015, the Yukon is high on my list. Regarding researching new places, it starts with looking at existing images. On one hand, it can help not to see any images of a new place, in order to avoid tunnel vision for the compositions you've already seen. On the other hand, sometimes you'll end up with something remarkably similar to what's been done before anyway (especially if it's the best or most obvious composition at the place), even if you haven't seen any images from that spot. I prefer to have all the information, and then make a conscious effort to come up with something original, if possible. Often, I'll see new potential compositions, perspectives, or conditions/light I'll want to investigate when viewing the images of others. At any rate, looking at existing images of a location, whether they're fine art or snapshots, can give you a good sense of what's possible given different seasonal conditions, different alignments of the sun at different times of the year, or even something as simple as whether sunrise or sunset would be preferable. Google Earth and topographic maps are also very helpful tools in this regard. 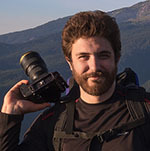 :: What advice would you pass on to someone just getting his or her start with landscape photography? Find focus. It's good to have a diverse set of skills, but until you really focus your efforts on a field of photography you feel particularly inspired by, it's difficult to improve. Don't be a jack of all trades, and master of none. Within the realm of landscape photography, it may help to focus your efforts on certain regions, biomes, or even specific locations for extended periods. Along these lines, you'll find that if you're interested in making a career out of it, it will help to find a niche or identity that sets you apart. Study the images of your favorite photographers. What is it that you like about these images? What are they doing with their compositions? What type of light are they shooting in? What kind of subjects are they shooting? What color palettes are they using? What can you identify about the tonality? Try to emulate whatever qualities you can identify about the images you admire. It's very important to develop your own style, but don't be worried about that right at the start. You'll get there eventually, by drawing inspiration from a variety of sources. Choose the very best one or two images you come up with. Learn from your failures in the field, but don't show them to the world. Show your successes. Gear is unimportant, until you know exactly why you need a specific item and how you'll use it. Equipment is not the limiting factor for someone just starting out. Focus on composition, light, and development with whatever gear you can afford. Spend your extra money on travel and education. :: If you had to choose between shooting only the Oregon coast or the mountains of Oregon, for a year, which would you prefer and why? Oh, that's easy - mountains! I just find myself far more inspired by alpine environments, as evidenced by my rather thin coastal portfolio. Also, if I've got a whole year, the coast isn't going to change much in appearance in that time, other than the marine layer ruining summer sunsets. The mountains will have a variety of seasonal coats - spring streams, summer wildflowers, autumn foliage, and winter snow. 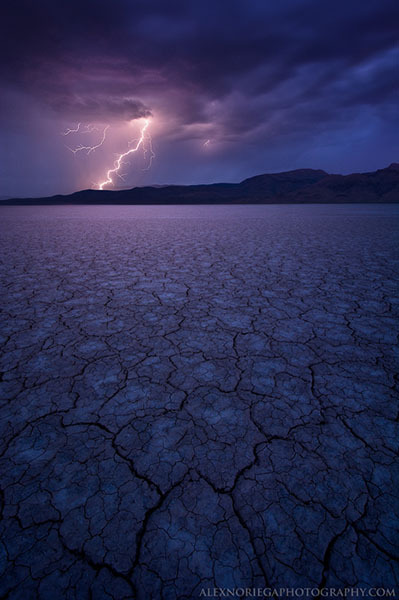 :: One of my other favorite images from your portfolio is the lightning strike on the Alvord. How did you get that image? Was there any fear of being BBQ'd? I had stopped at the Alvord on a summer road trip from Minnesota to Oregon. I was ready for a night on the playa: the grill was out, the bratwursts were in the cooler, and the cloud cover forecast was holding true, as I shot golden hour and sunset light amid the incoming rain clouds. Suddenly, it got very windy and cold - this storm was much more serious than anticipated. The sunset light hadn't been gone for more than a couple minutes before I saw lightning strikes to the southwest, over Steens Mountain. I scrambled to find a composition, since I had already abandoned and lost the cracked mud formations I was shooting at sunset. I found a nice set of tiles that led into the frame with cracks in a pattern that mimicked lightning, and began setting off 30-second exposures. While each exposure ran, I was rushing to pack up the car, since I did NOT want to be the tallest thing for miles when lightning passed over. I made about ten 30-second exposures, with lightning managing to strike in the second between each one - just my luck! Finally, I saw a massive strike occur during an exposure. Checking the LCD, I saw it had landed perfectly on a third in my composition, and shrieked with glee. I decided that was as long as I could hold out, because it was becoming dark fast, and the storm was quickly approaching. I threw the remainder of my gear in the car, and started speeding toward the mountain to get off the playa. I knew I would be safe in the vehicle, since it would act as a Faraday cage, but I still didn't want to risk getting stranded due to an electrical short if the car was struck, and I didn't want to sink into the mud if the rains were heavy overnight. By the time I reached the edge of the playa, it was pitch black, and I couldn't find the outlet to the road. I saw one light in the distance, and frantically sped toward it. It was a rancher's home - and I figured he must be near the road. It required some off-roading through brush to get back up to the road, but I finally made it up, with lightning striking unnervingly close to my vehicle. Off I sped, having made three portfolio images in as many hours. 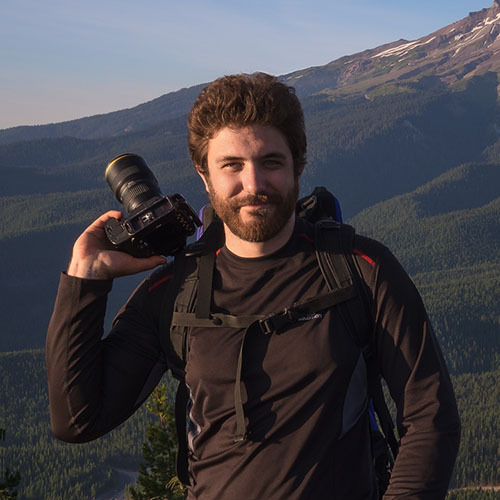 "I'm grateful that I've been able to turn my passion into a career, making only the images I want to make, and teaching aspiring photographers my craft."